'Start Here': Pelosi elected House Speaker, Democrats ready Trump oversight and lawyer of accused spy in Russia speaks out. What you need to know to start your day. 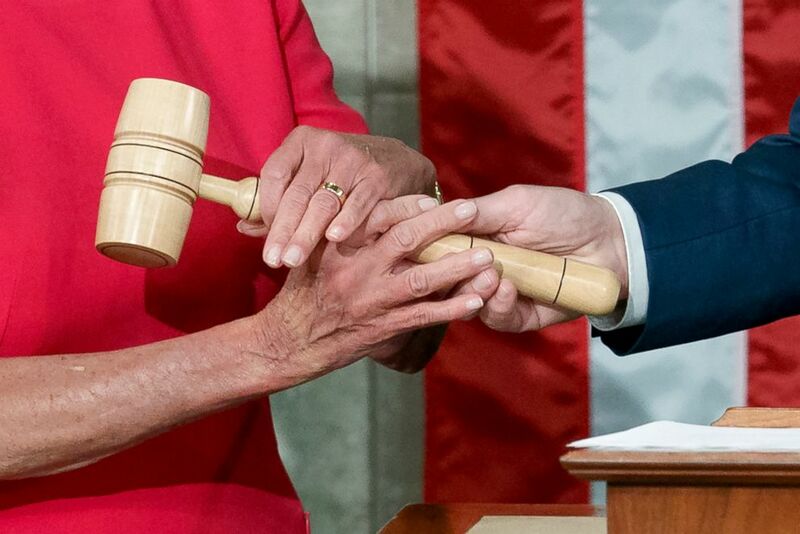 Democrats took control of the 116th Congress on Thursday with Nancy Pelosi reclaiming the gavel as speaker of the House. 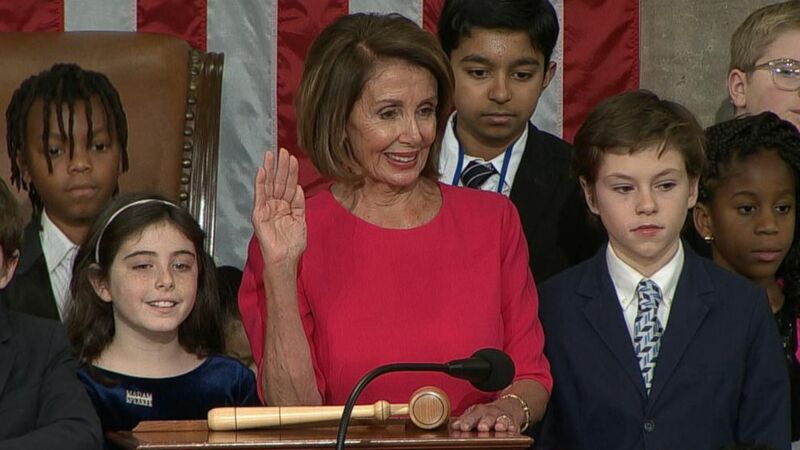 Pelosi, the first woman speaker, made history for a second time and also welcomed a record number of women to the new class of diverse lawmakers. Amid the pomp and circumstance, the Democrats took power on day 13 of the partial government shutdown, and despite them passing legislation to reopen the government, President Donald Trump has refused to sign anything that doesn’t include funding for a southern border wall. Trump will also be confronted with investigations, hearings and subpoenas from Democrats as they flex their new power in the House. ABC News’ Katherine Faulders, ABC News’ Benjamin Siegel and ABC News’ Trish Turner walk us through what Democrats are planning in the next Congress. 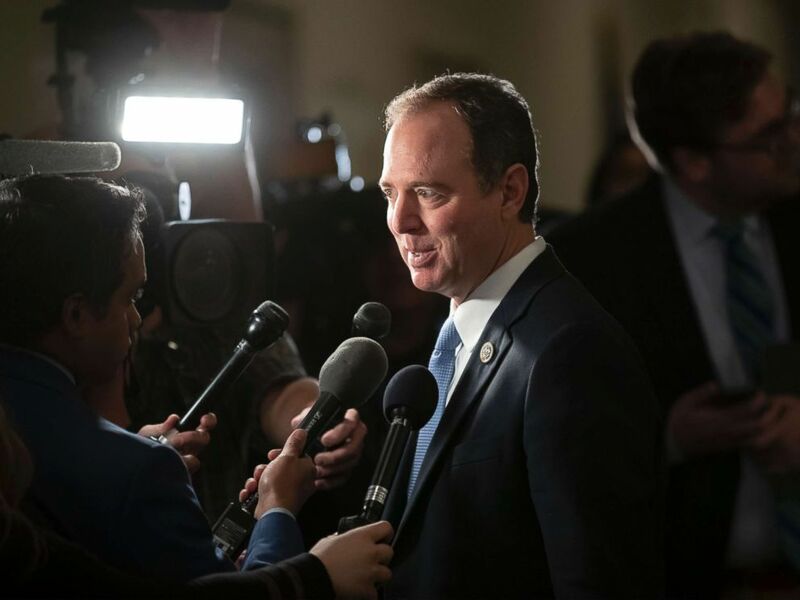 Rep. Adam Schiff speaks with reporters as he arrives for Democratic leadership elections on Capitol Hill in Washington, D.C., Nov. 28, 2018. 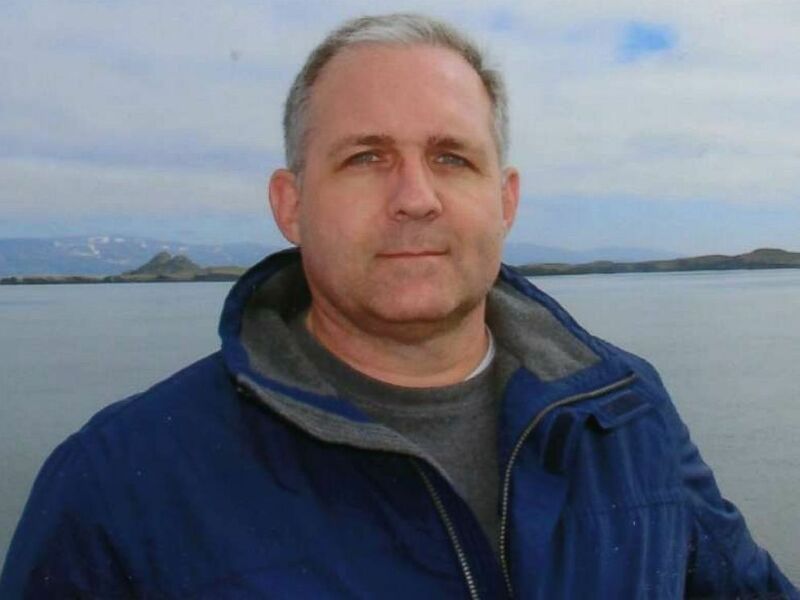 Russian news agencies reported Thursday that American citizen Paul Whelan is officially being charged with spying on behalf of the US. Whelan’s family denies that he is involved in espionage. ABC News’ Patrick Reevell in Moscow has been in touch with Whelan’s lawyer, who floated an unconfirmed theory that Whelan could be part of a prisoner swap between the two countries. Shutdown shutout: USAA, a traditional safeguard for military families, is under fire for denying loans: The United Services Automobile Association (USAA), a San Antonio-based company, is one of the largest banks to serve the military. But this partial shutdown of the U.S. government, now in its 13th day, has many Coast Guard members who are USAA customers questioning the company's self-proclaimed values of "Service, Loyalty, Honesty and Integrity." Say what? : New congresswoman curses out Trump in call for impeachment: It didn't take long for new Congresswoman Rashida Tlaib to introduce herself to President Donald Trump and the nation. And she did so in the most profane way possible. Tlaib, who was sworn in as Michigan's representative from the 13th District on Thursday afternoon, was speaking at an event for progressive advocacy group MoveOn.org when she relayed a conversation with her son to the crowd: "And when your son looks at you and says, 'Momma, look you won, bullies don’t win,' and I said, 'Baby they don't,' because we’re gonna go in and impeach the motherf-----." Highway tragedy: 7 dead, others critically hurt in fiery car crash in Florida: Seven people are dead and others critically hurt after a fiery car crash on I-75 near Gainesville, Florida, officials said. Fifty gallons of diesel fuel spilled in the crash. The blaze has since been put out, Alachua County Fire Rescue said. Eight patients were "transported from the scene, multiple patients with critical injuries," fire rescue said. Home massacre: Man arrested after allegedly killing 3 young children, shooting woman in the head: Police arrested a Texas man who allegedly murdered three young children and shot a woman in the head Thursday. Junaid Mehmood, 27, allegedly killed an infant and two children -- believed to be 2 years old and 5 years old -- at a Texas City apartment complex and left a woman there to die, according to police. Fish story: Woman catches 88-pound Blue catfish in the Tennessee River: There may be plenty of fish in the sea, but a plethora of mammoth-sized Blue catfish in the Tennessee River there are not. A Tennessee fisherwoman with a penchant for reeling in giant catches caught her personal best over the weekend when a Blue catfish weighing at least 88 pounds came to bite. Pelosi retakes speaker's gavel as shutdown continues: The most diverse Congress in U.S. history convened Thursday, and the president is showing no signs of backing down, as 800,000 federal workers are without pay for the 13th day. 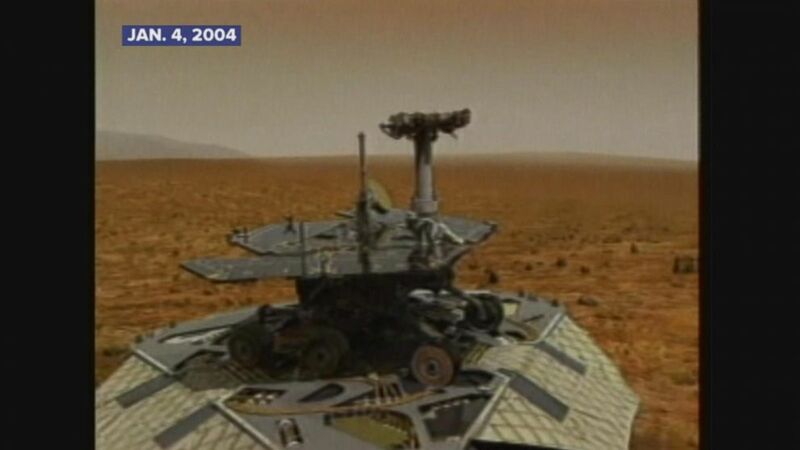 Jan. 4, 2004 -- NASA rover Spirit has successful landing on Mars. Newly elected House Speaker Nancy Pelosi of California, left, who will lead the 116th Congress, takes the gavel from Rep. Kevin McCarthy at the U.S. Capitol in Washington, Jan. 3, 2019. 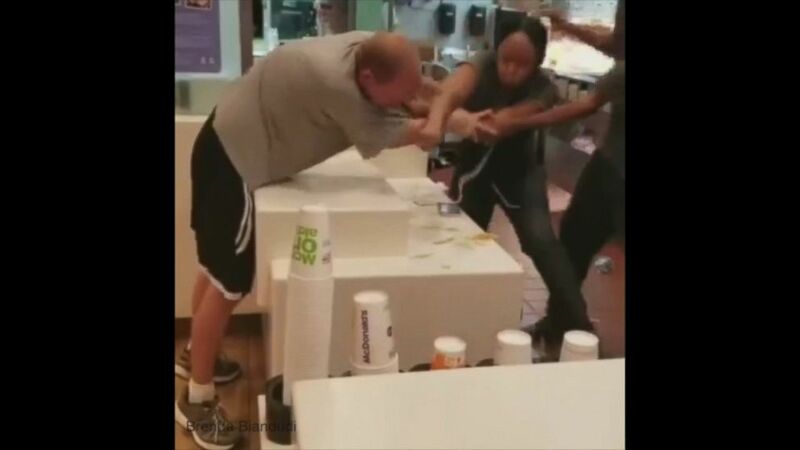 A man attacked a McDonald's employee on New Year's Eve after a "verbal argument about straws" occurred, according to police. All right, you're off and running. You can always get the latest news on ABCNews.com and on the ABC News app. Details on how to subscribe to the "Start Here" podcast are below. See you Monday! 'Start Here': Russia spy allegation, Pelosi. What you need to know to start your day.